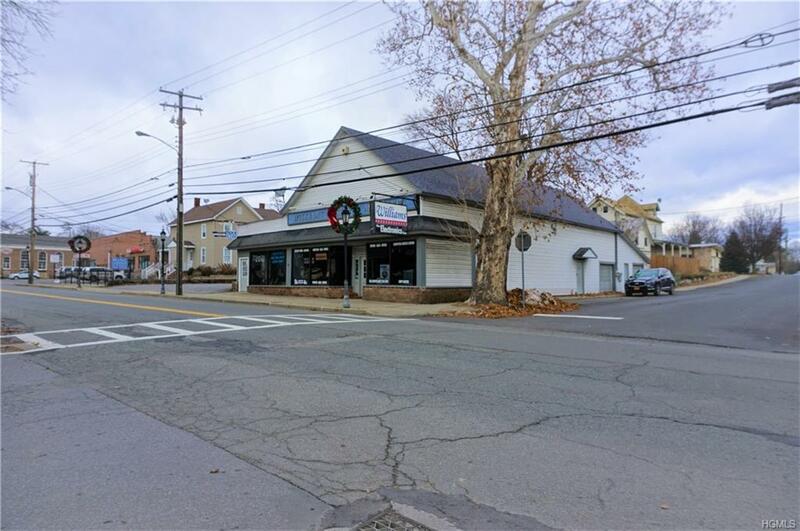 Prime Investment opportunity or add your business in the middle of town, no better location than this! 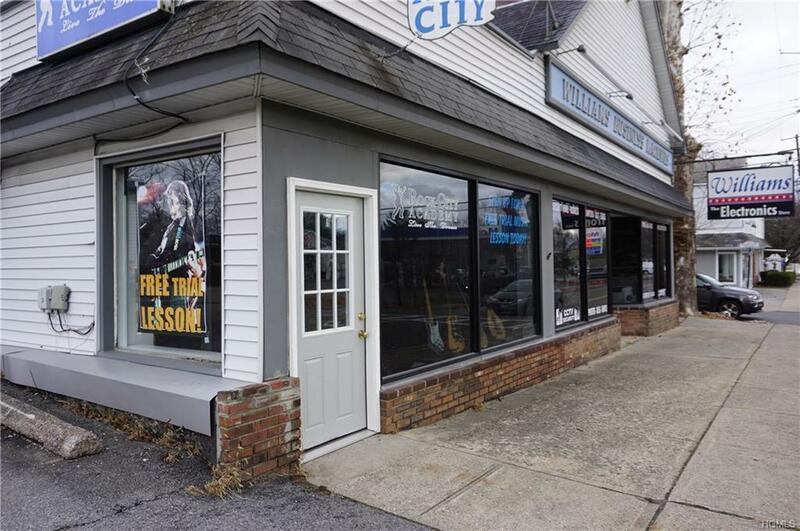 Great storefront with three rentals, ample parking and tons of storage space and future expansion upstairs. 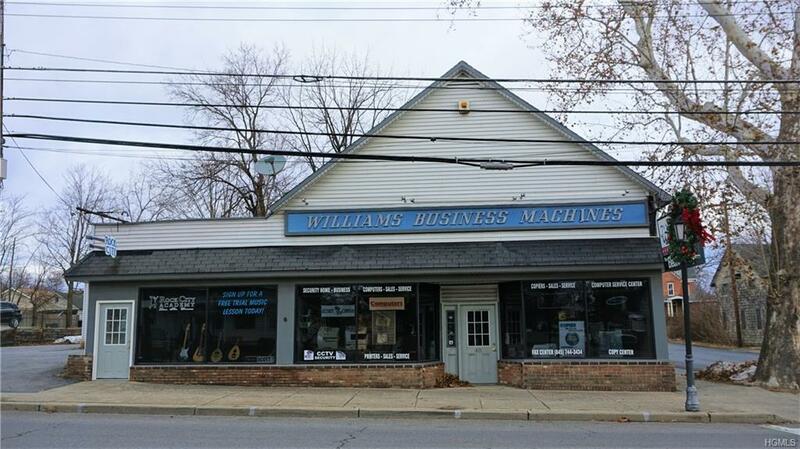 Williams Business Machines thrived for approximately 34 years in the heart of Pine Bush. 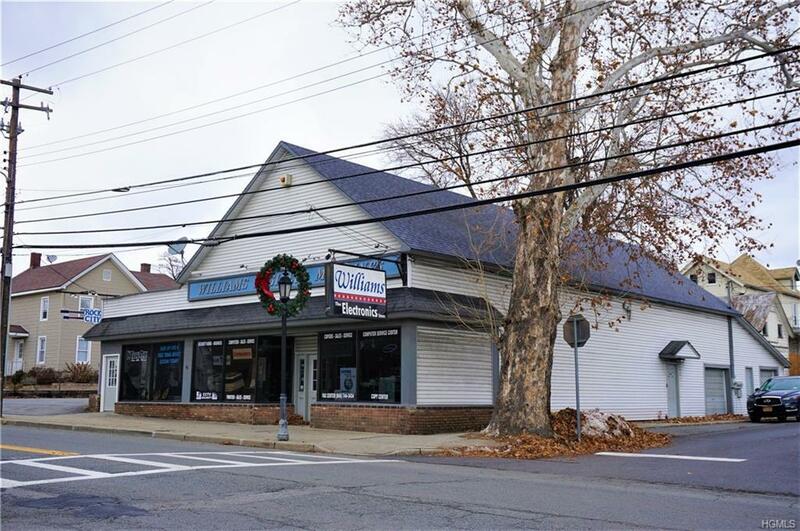 Includes store front space, 3 offices, bathroom, kitchenette, spray room, large room in back with garage door. Second floor access is on right side, which has huge space for 4 offices, one large office and rec room, which is NOT included in square footage! Including, 4 rooms currently used for storage, one large office and a large rec room with bar. Left side of the building is currently rented and connects to third rental. Rental 1 on right side is 3,153 sq. ft, Rental 2 on left side is 1,168+/- sq. ft. with three rooms and bathroom and Rental 3 is 560+ sq. ft with three rooms and bathroom. All rentals have their own access, separate utilities and bathrooms. Priced to sell, take a look!! Listing courtesy of Wendy Nicholson of Curasi Realty Inc..